The Emerald Dove: Meet Rolo! I had completely forgotten that I hadn't shared the newest member of our family with you all. Rolo became part of our family last week and she is the cutest little pup I have ever laid eyes upon. We're all pretty smitten despite her biting antics (for something so small, she sure can bite). 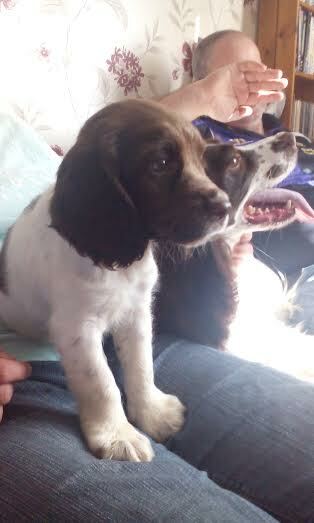 Rolo is a Springer Spaniel - as have been all the dogs we have had over the years - and she is just adorable. She likes to bite and chew everything - she tried to bite the camera whilst I was taking these pictures. But she has really settled in well and mostly just sleeps a lot. We have another dog called Hazel and they are getting on like a house on fire. 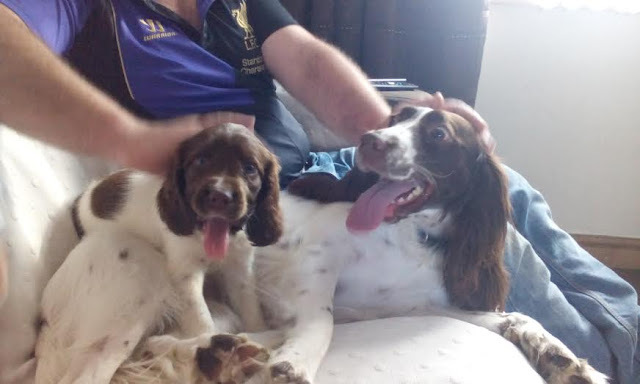 We thought that Hazel might try to eat Rolo when she first arrived but they are now the best of friends and Rolo often snuggles up next to Hazel to sleep. I love spinger spaniels - we had a black and white one called Jasmine when I was younger and she was the soppiest little thing, adored her! Rolo looks so playful, such a cute puppy! 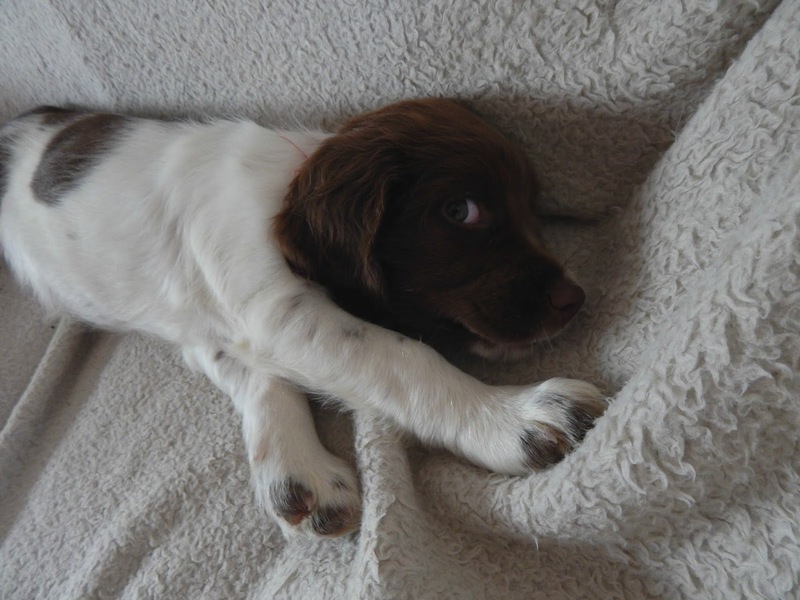 Oh she looks just like my dog as a puppy, we've always had springers too! She is so perfect and as sweet as her name!! awwww she´s so cute, my dog Bella it's a little wild too so I know what your talking about haha. Ahh, Rolo is so adorable! What a little cutie. Happy to hear her and Hazel get along as well. Rolo is so cute! I love the photo of her on the sofa with the cushions, adorable with gorgeous big eyes! He's so adorable, I just want to hug him. They look so much alike, almost like mother and daughter. Oh my gosh...She is soooo cute. I love the name Rolo too and it seems to fit her perfectly! Aww Rolo is so cute i just wanna hug her! Oh my gosh, she is the cutest!